Von Juli 1945 bis zum Sommer 1946 stand das Kloster allen politisch oder rassisch verfolgten Kindern offen. 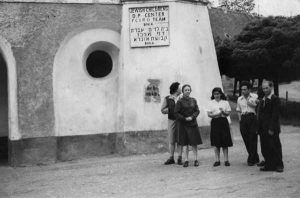 Von August 1946 bis zur Schließung im September 1948 wurde das Haus als rein jüdische Einrichtung geführt. 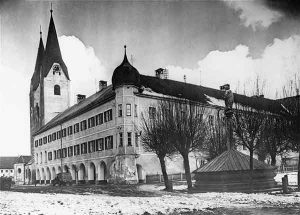 /From July 1945 to the summer of 1946 the monastery was open for all politically or racially persecuted children. From August 1946 until it closed in September 1948 the house was operated as a Jewish children’s center. Das Lager-Komitee verlegte die ungarische Zeitung Uj Elet (Neues Leben). Das Blatt erschien jedoch nur in fünf Ausgaben. /The camp committee published the Hungarian newspaper Uj Elet (New Life). Only five issues of the newspaper were published.